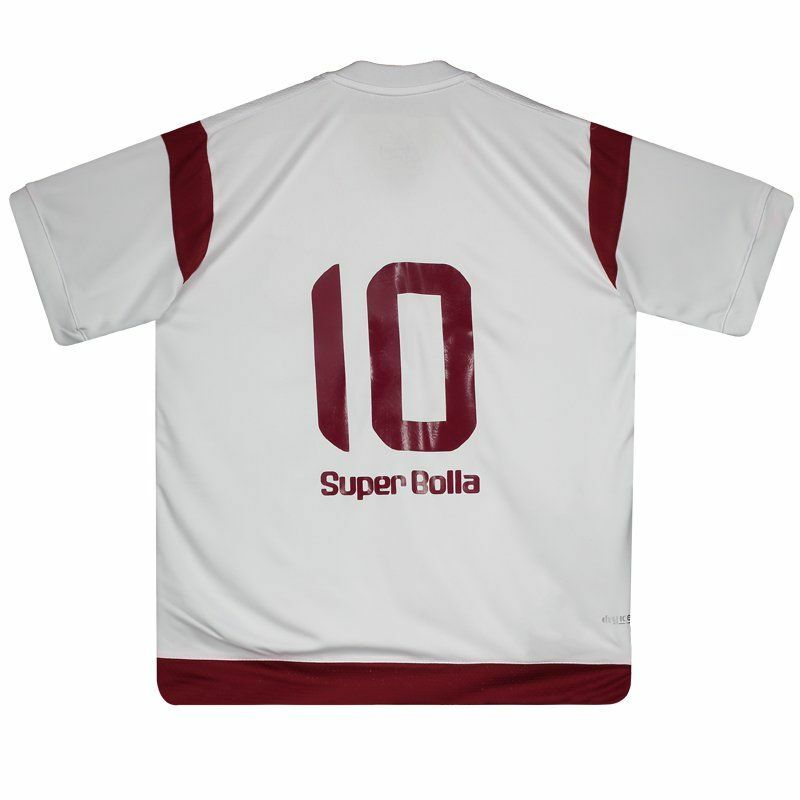 The Super Bolla presents Juventus kids reserve jersey for 2017, ideal for young people to use in games and day to day. The piece is made of lightweight polyester and features Dry-Ice® technology, which leaves the fabric lightweight, comfortable and provides high absorption of sweat from the body, keeping it dry and at a stable temperature. It can be customized with name and has the number 10 on the back. Its design is predominantly white with details in wine and gray, present in the geometric print on the front. 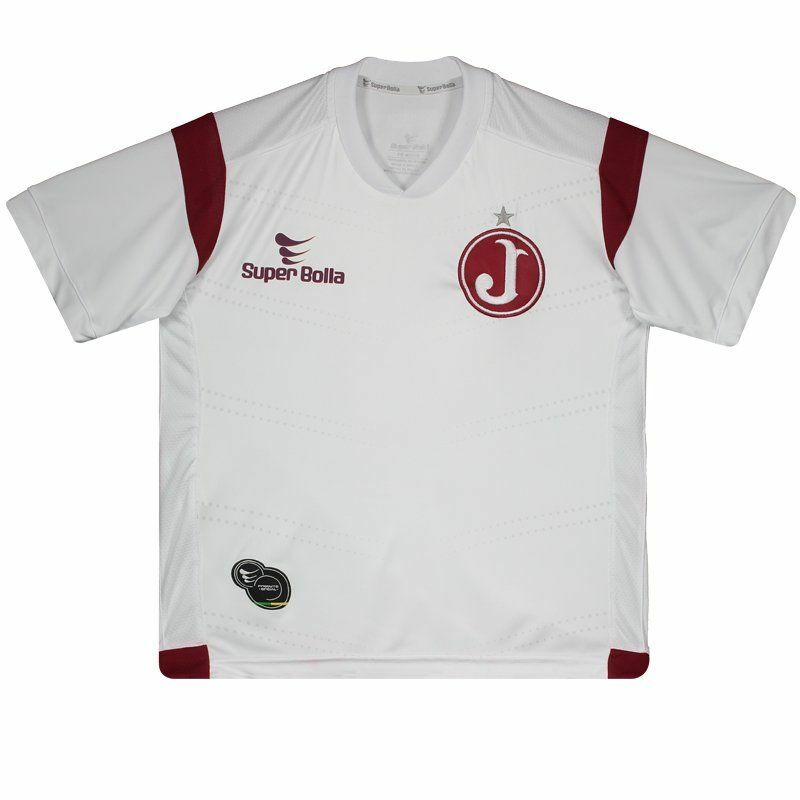 There is also the team badge embroidered on the chest and the logo of the supplier stamp stamped. Finally, the collar is V and the short sleeves have a fluted finish on the cuff.